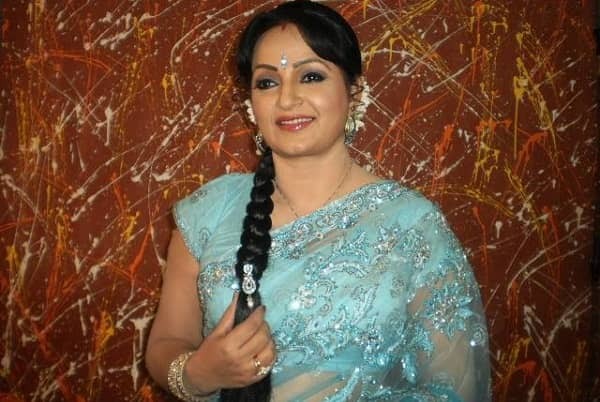 Upasana Singh is famous Indian actress and stand-up comedian. She is well known face with her bright eyes in many movies. She is also well known for her funny English dialogue delivery. She was born in Kapurthala, Punjab India. She is married to Neeraj Bharadwaj who plays the role of Chirag Modi in Star Plus serial ‘Saath Nibhana Saathiya’. She also worked with her husband in TV-serial Aye-Dil-e-Nadaan. After working together they decided to get married.She prefers vegetarian food only. She appeared in Babul a 1986 movie. Her first breakthrough was in 1988 in a Rajasthani movie called ‘Bai Chali Sasariye’.She is popular for her onscreen style and Punjabi accent of English dialogues.With her first salary of RS 10,000 rupees she gifted a jewelry set to her mother. She also appeared in Jai Hanuman serial, 1997. In 1997, she was recognized for her stupendous acting as deaf mute in movie Judaai. She recently became famous for playing Pinky Bua in Comedy nights with Kapil show. She also worked in many Punjabi and Bhojpuri movies. She worked with Kapil in Comedy nights until 2016 when the show shifted to Sony TV from Colors TV. She stopped working for Kapil and went to Krishna Abhishek’s show. Few months later she was back with Kapil and is unsatisfied with the script. Her trade mark dialogue ‘Bittu, Kaunhainyehaadme’ is very famous. She also played many character roles in movies such as Loafer, Mein Prem Ki Diwani hoon, Golmaal returns, Old is Gold, Aitraaz, Mujhse Shaadi Karoge and Hungama. Her major television series include Pari Hoon Mein, Yeh Meri Life Hain, Sonpari and Raja Ki Ayegi Bharat. She is currently playing the role of Panchami in SAV TV’s Jija ji Chhat Par Hain. She also appeared in Lady Inspector show and Patake Tha a Punjabi serial. In 2017, she also worked in Judwaa 2 with Varun Dhawan and Taapsee Pannu. Also her continuous part in a Punjabi sequel ‘Carry On Jatta’ got her accolades. Her favorite food is Rajma Chawal. Her favorite actor is Amitabh Bachan and favorite actress Madhuri Dixit and Hema Malini. Due to her style and funny way of delivering dialogue she is a unique comedian of her lifetime. I hope she brings laughter to the audience with her upcoming performances.